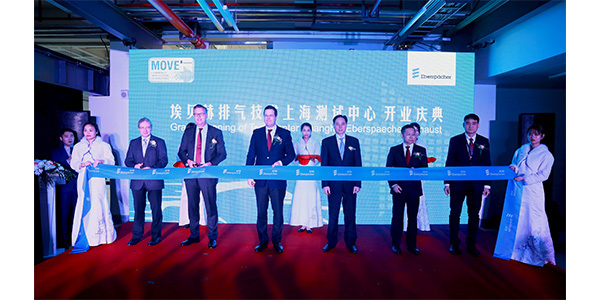 Eberspaecher, a global Tier 1 manufacturer of exhaust technology, has expanded its testing competence with the opening of a new Asia Test Center in Shanghai. Eberspaecher management and guests celebrated the official opening of the Asia Test Center, which bundles the group’s exhaust technology testing expertise and prototyping operations for customers in Asia. The company says this expertise is needed to develop more complex exhaust-emission control systems for the ever-stricter emission norms in Asia, especially in China. Eberspaecher already has solutions for meeting future emission standards for passenger cars as well as commercial vehicles, including close-coupled SCR systems and gasoline particulate filters from other markets. The new test center houses a prototype shop and the possibility to test exhaust systems from the material and component level to system level for passenger cars and commercial vehicles. In addition to technologies for future emission standards, low noise and high sound quality of exhaust systems are in growing customer demand for the Asian market. 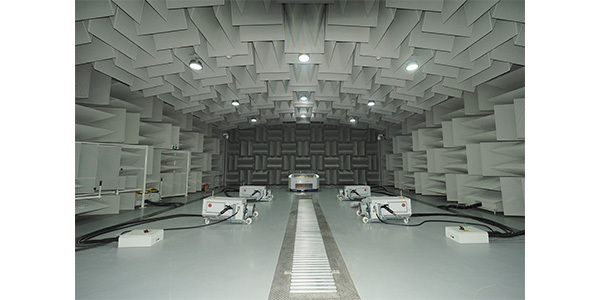 The semi-anechoic room utilizes a room-in-room concept solution with ultralow background noise level of 25 dBA. The Test Center is directly attached to the existing Eberspaecher site in Shanghai, where more than 400 employees develop and manufacture exhaust systems. To serve global customers, Eberspaecher runs other exhaust technology testing sites in Esslingen, Germany, and Novi, Michigan in the U.S.